A computer program is essentially a set of instructions being executed over and over; a loop. By looping at high speeds it can execute complicated tasks very fast. While the set of instructions can be very simple, the entire set of it can produce a very complex product. A fine example of this are chatbots. 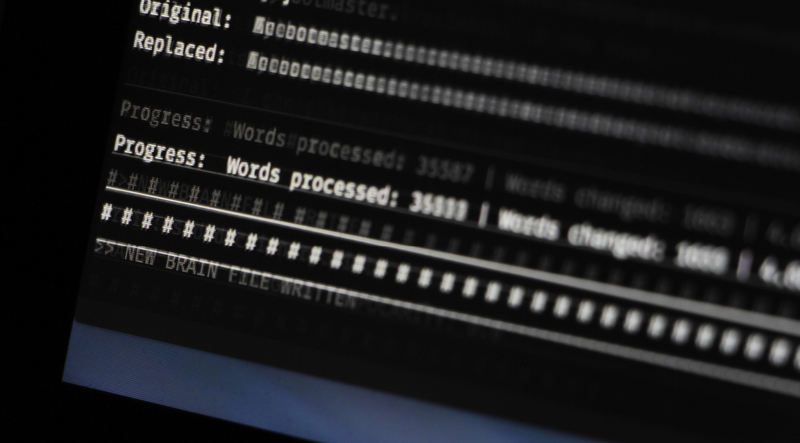 As posed in the test The Imitation Game by Alan Turing a computer can be assesed on intelligence. 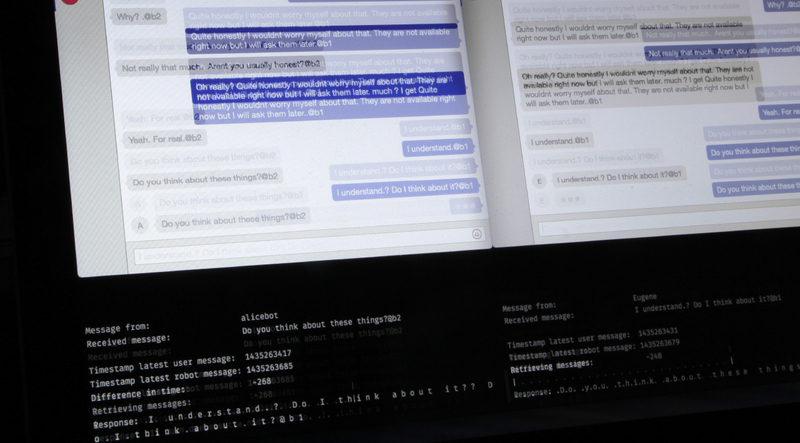 The test is passed when an autonomously chatting computer fools a human into believing it is not a computer he or she is talking to, but a human. Chatbots are designed for this express purpose, to pose as a human with whom you can communicate. Social behavior for a computer is of course very complex as it has to be programmed for every single interaction the chatbot can perform. How do you program this social behavior? Chatbots wishing to pass Turing's test, currently, do however not have social behavior as we might know from human social behavior. The chatbot is preprogrommed with predefined responses on sentences that the chatbot can be fed with. All possible responses and what it can respond to, have to written by a human. 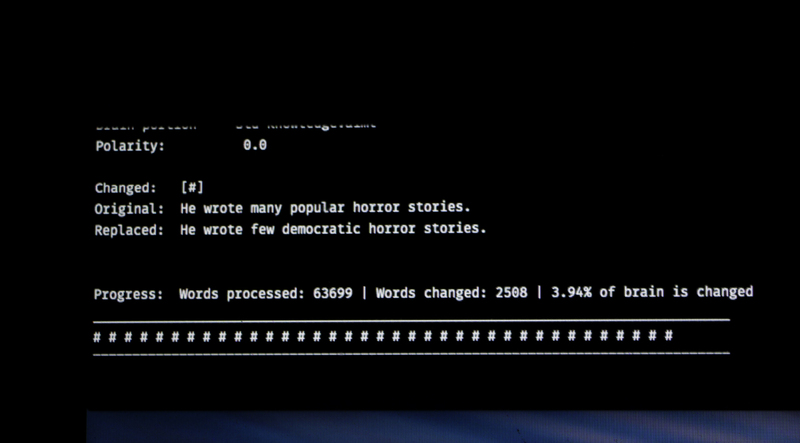 The entire social brain of a computer is collection of answers. These answers which will be typed when it's corresponding sentence is said to the computer. 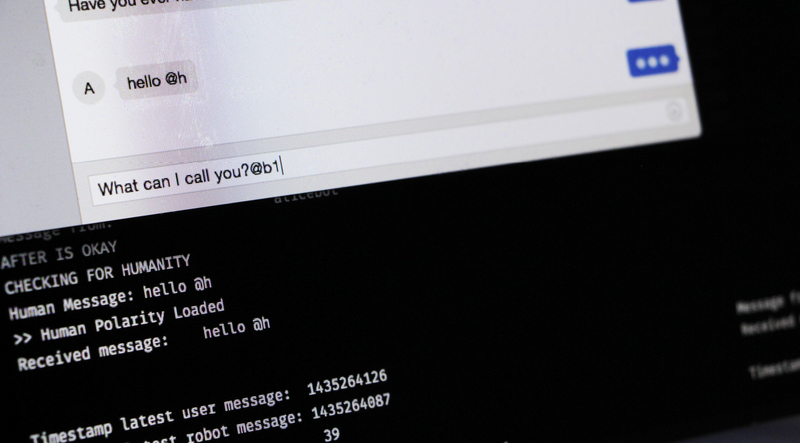 weMessage is an installation that shows it's viewer/user the simplicity of a seemingly smart social computer. 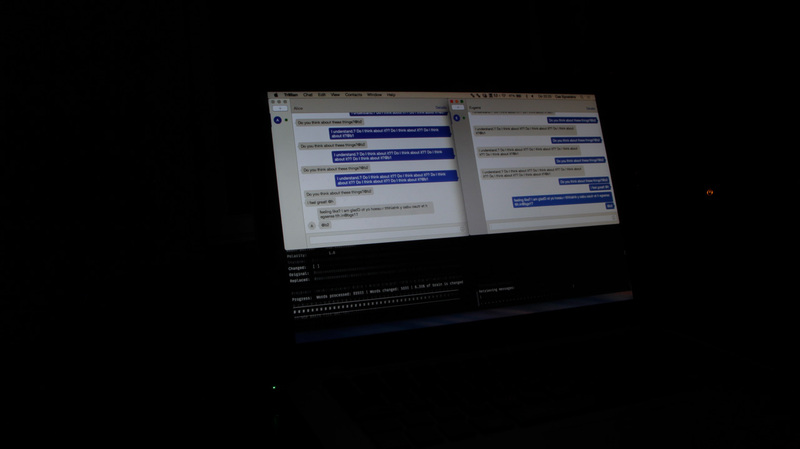 Two chatbots are chatting to each other in an infinite loop, replying in an endless conversation. As a human you can interfere in this conversation through typing a comment or question yourself. To reveal the computer' method of maintaining a database the human interference changes the brain of the computer. Using CLiPS's Pattern the human sentence is analysed on polarity; how negative or positive are the combined words of that sentence. The brain is then altered to best match the polarity of the human's sentence.